Draper Knitting Fabric is in the Olympics! 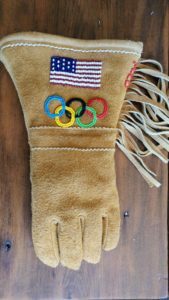 If you’re planning to watch the opening day ceremonies of the Olympics – you’ll see that the USA athletes are wearing leather gloves made at Olympia Gloves – and the inside liner fabric is made at Draper Knitting Co. in Canton, Massachusetts! We’re proud of our employees who put their experience, talent and passion into every fabric we make.